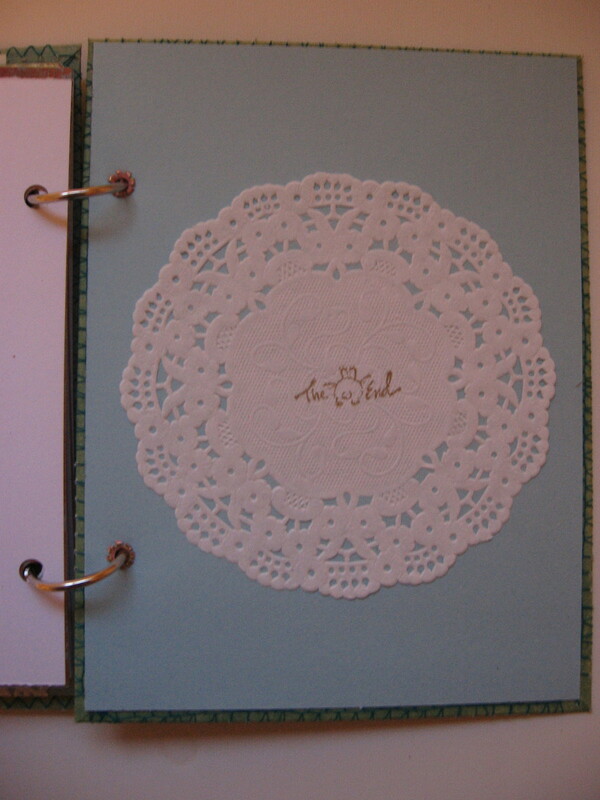 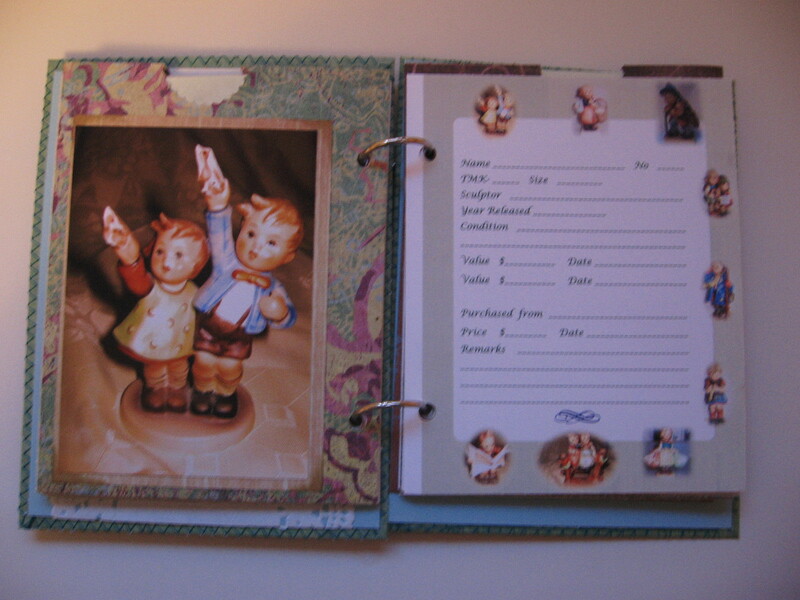 The cardstock has a vintage look to it which is well-suited to these collectibles; the faded colours really allow the photos to "pop". 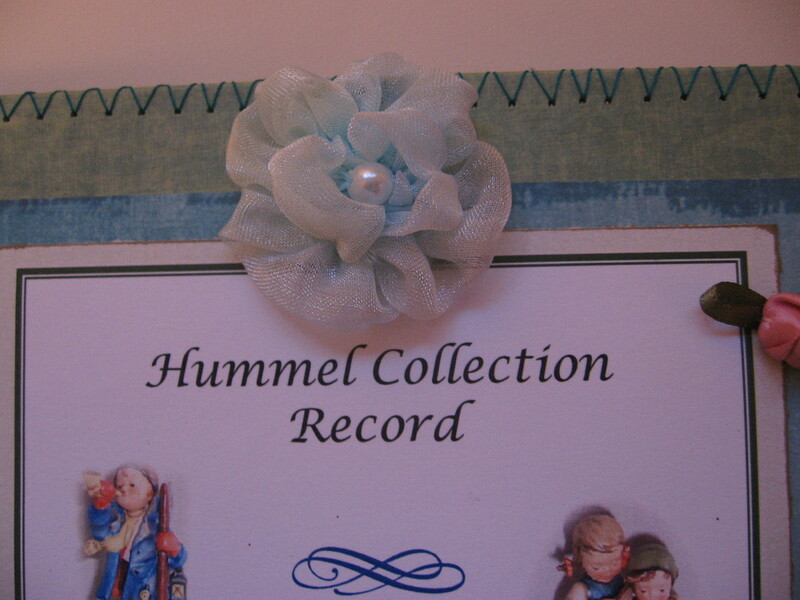 I like the way it turned out so I started making them for other Hummel collectors. 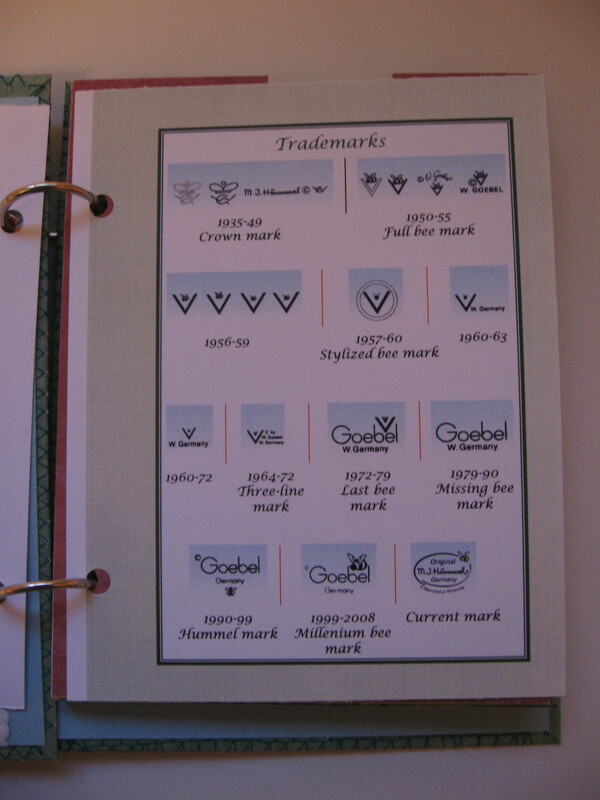 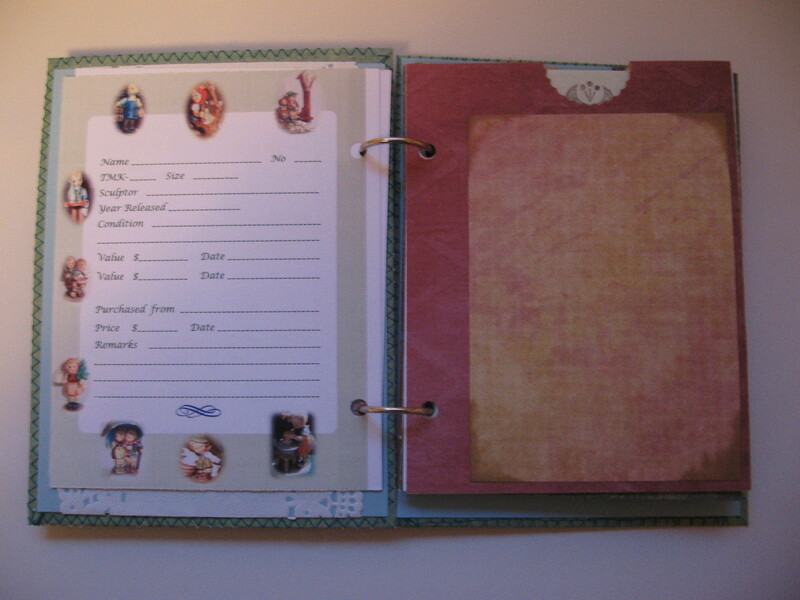 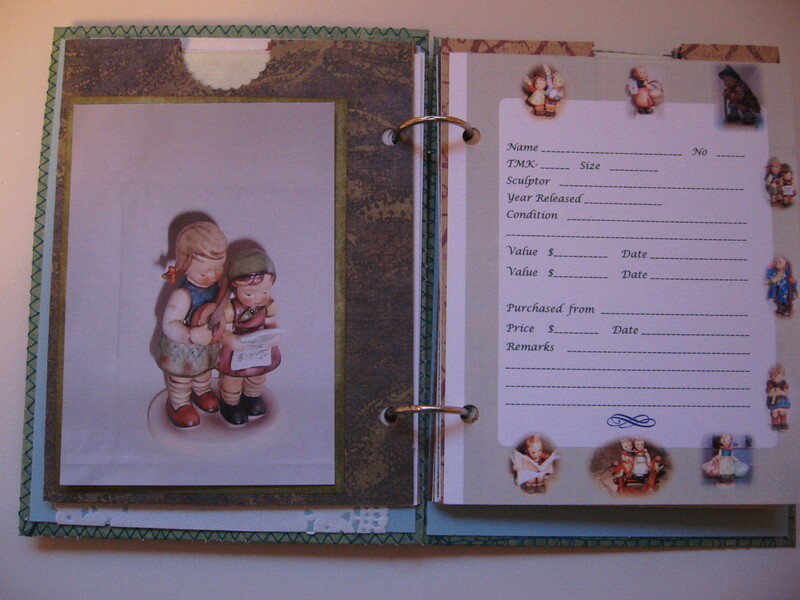 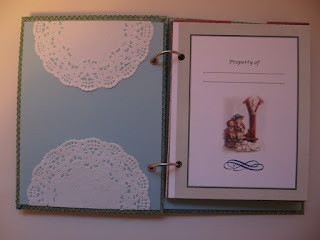 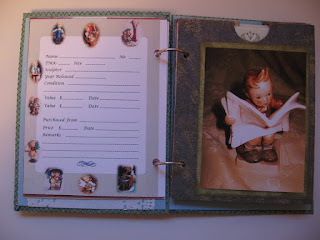 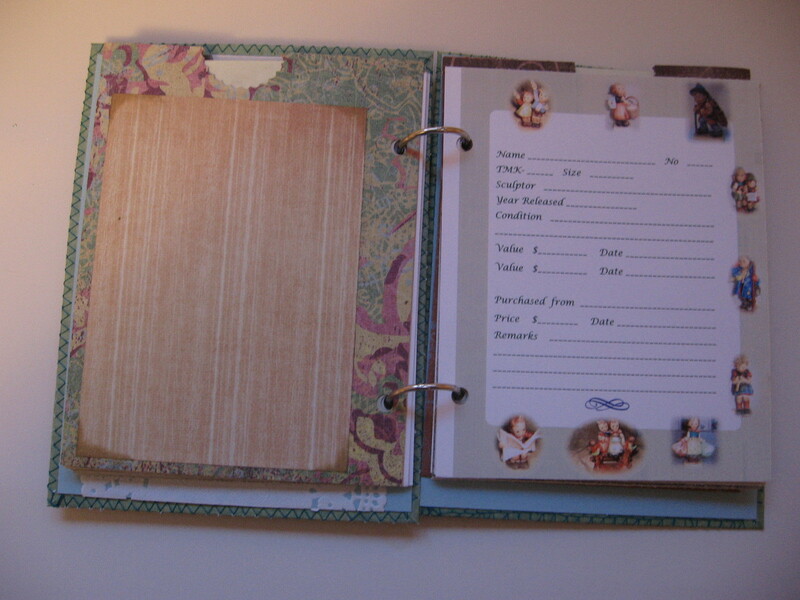 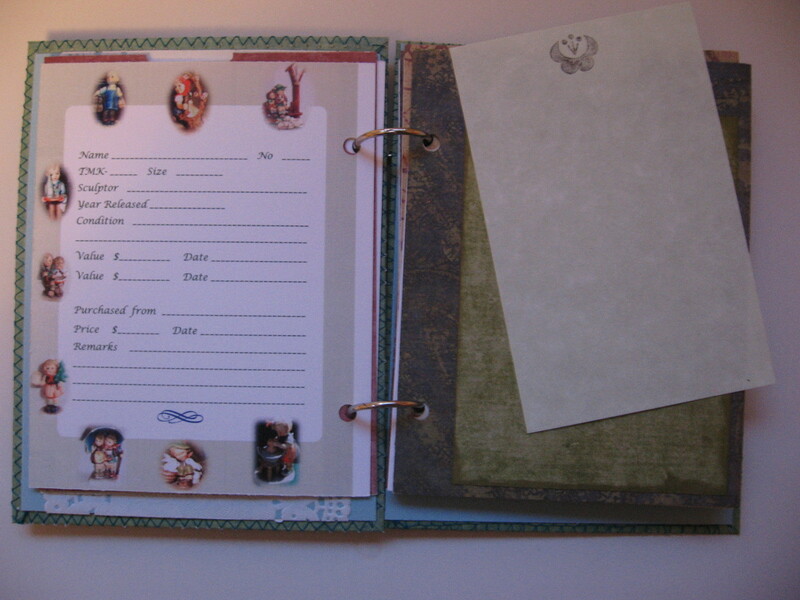 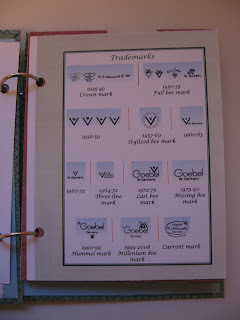 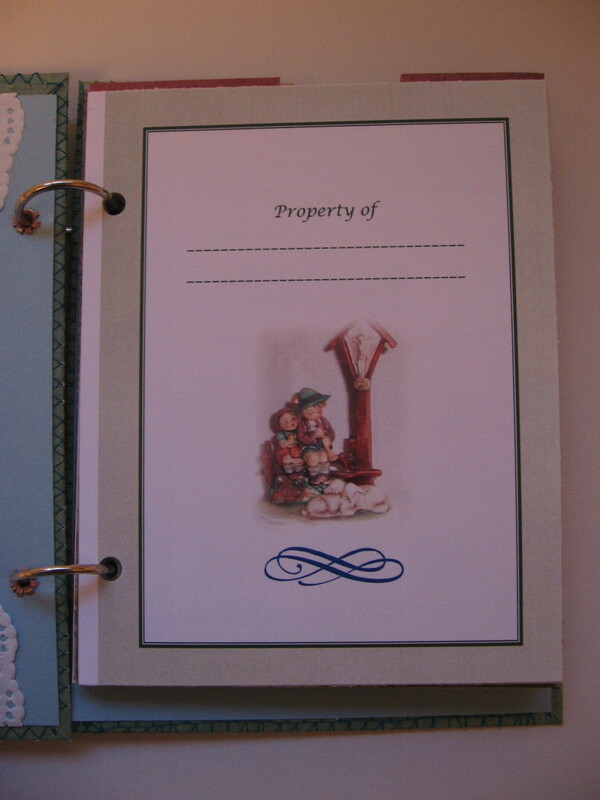 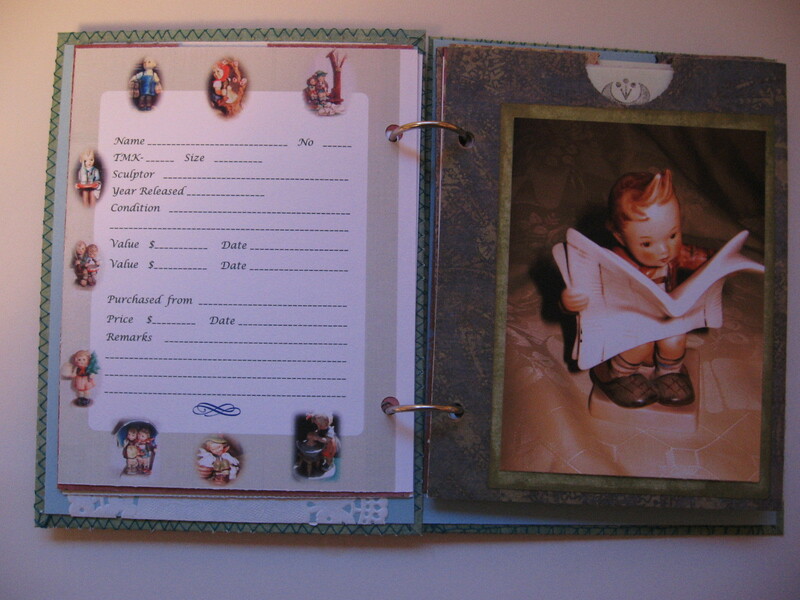 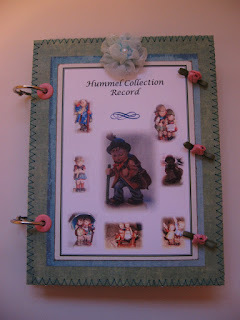 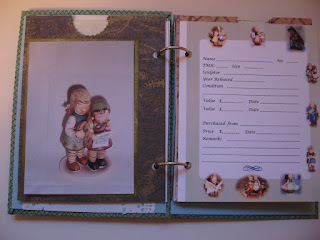 This particular design holds 20 photos, each with a form for documenting, and is available in my Etsy shop (https://www.etsy.com/listing/121171993/handmade-journal-to-document-your-hummel). 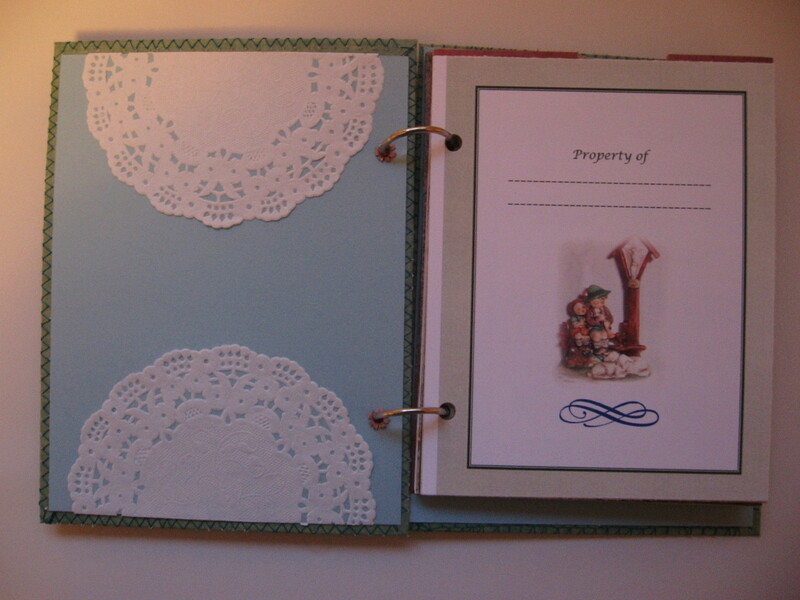 I also have two other different design available that I haven't posted (one holds 40 photos). 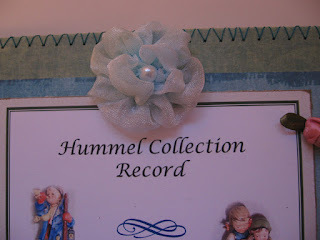 The forms were a lot of fun to design - all of the images of Hummels contained on the cover and the forms are photos I took of some of the figurines in my collection. 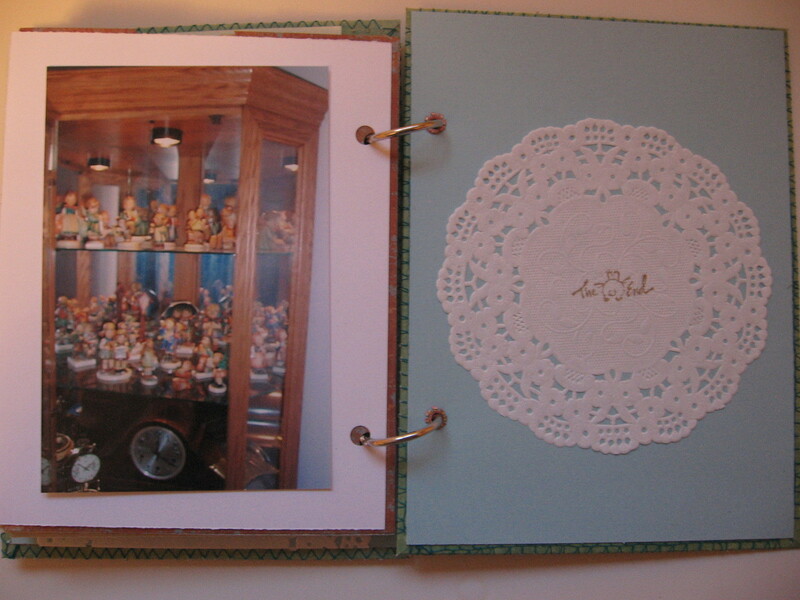 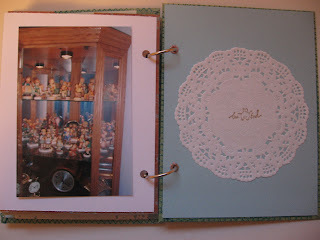 Here are a few pics of pages with some of my own photos. 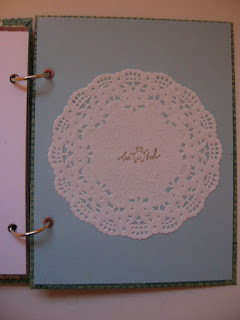 Can't wait for the weekend so I can hit the craftroom again!